Onigiri is usually translated as “rice ball,” because the food is often shaped like, well, a ball of rice. For centuries, the triangular onigiri has been a meal that one eats. Until now. Behold “Nomu Onigiri” or “Drinkable Rice Ball.” Packed with 200 kilocalories, this rice ball beverage type thing is made from skipjack tuna flakes, Japanese rice, seaweed and sour plum. It has enough dietary fiber as one head of lettuce and, when squirted out, looks like this. 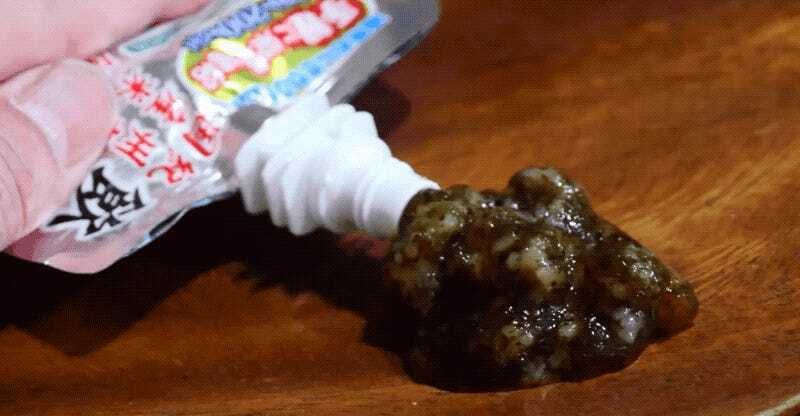 Here is what onigiri you eat, not drink, looks like. Which is yummy! Website Buzz Plus describes the texture of Nomu Onigiri being similar to cold okayu, which is a type of rice porridge (which I like). 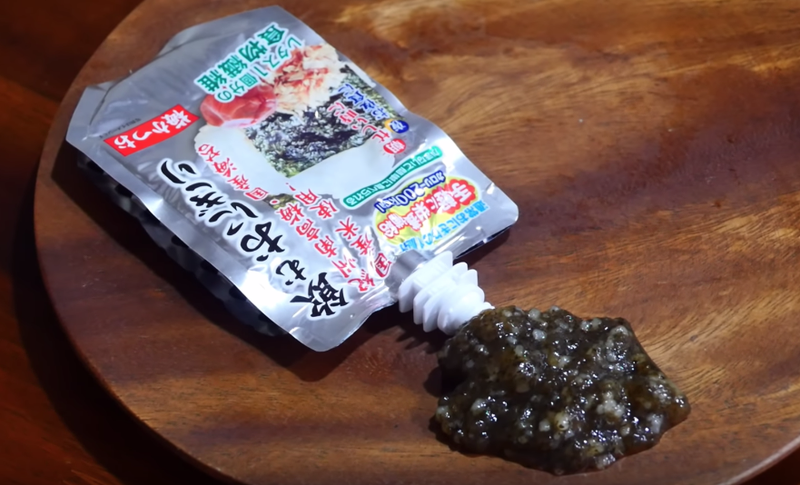 Maybe if this was sold as that instead of drinkable onigiri, it wouldn’t look so nasty?